A New England Life: New neighbors! For the past couple months I've been feeding Bluebirds with Zick Dough, never dreaming we'd actually have a pair nest right in our own yard! What a thrill! The Mrs. is a very busy and dedicated lady! Mostly he just watches and guards the next site while she flies back and forth on a serious mission. Already a pair of House Sparrows thought they might be moving in. I don't think so! My husband and I will do everything in our power to keep that from happening. House Sparrows will actually trap the female in the house and kill her, or destroy the eggs. Or worse yet, kill the babies and throw them on the ground. Horrid birds they are. My biggest concern right now is that they are nesting early. About 2 weeks early. We still have cold nights on the way so I'm hoping if she lays eggs they won't freeze. I took this picture 2 days ago with my cell phone. This afternoon she was still bringing pine needles in and had the nest built all the way up to the hinge on the door. I didn't see any eggs yet but I'll keep a watchful eye out for them. Love your new neighbors! Great shots! so pretty! Well, I couldn't see the last photo but the others are excellent, Sharon. Yes, they're the best kind of neighbors! Awww! Hope they do well. Lots of bluejays here, but just don't see the blue birds Daughter lives app. 100 miles north of me, and they see lots of them. They are so beautiful. I have only seen one blue bird ever and that was in the Mountains last spring here in Alberta at my sisters. Loved the photos and I hope that it goes well and we all get to see babies. Lucky you to have blue birds nesting - a very coveted neighbor to be sure. So glad you are back with New England Life - I have missed it. I have been blessed to have BB nest in my yard several years in a row. Sparrows are so nasty and aggressive. I recently read in Birds and Bloom that if you drill a hole in the roof of your bird house it will deter the sparrows who do not like the light, but it will not bother the bluebirds. Good luck! Beautiful pictures of your new neighbors! Bluebirds are one of my favorite ~ lucky you! What a lovely post! Springtime brings the nicest surprises. How sweet! You can tell a lot about a family by their neighbours! Well Spring has sprung! Fabulous pictures of these beautiful birds. OH Sharon!!! I'm so excited for you!!! Good luck and I know they'll do fine! My girl is laying (early as well)! You're photos are stunning!! 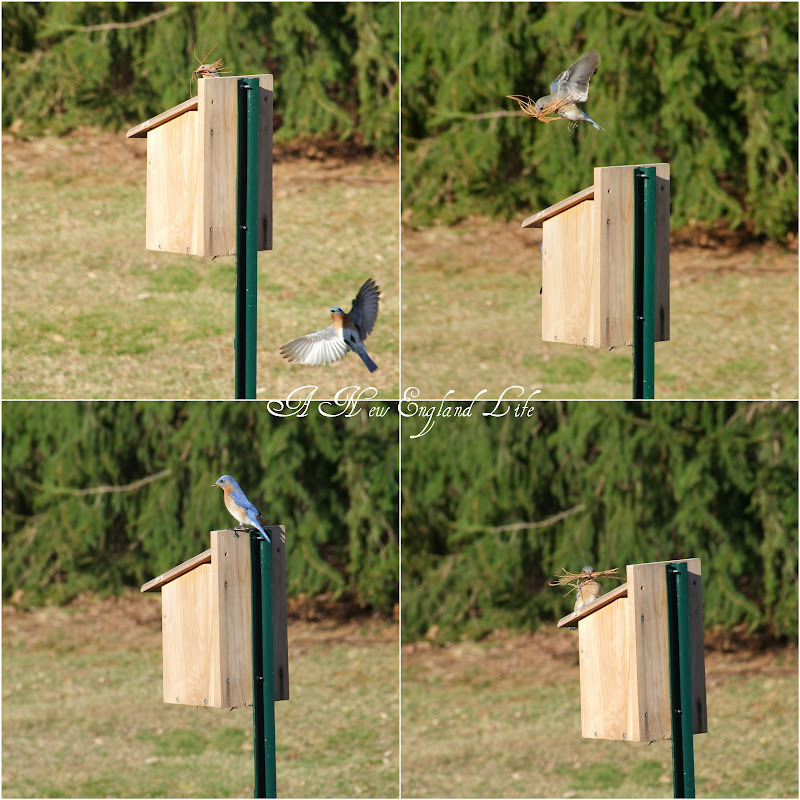 Beautiful shots of those bluebirds in flight! 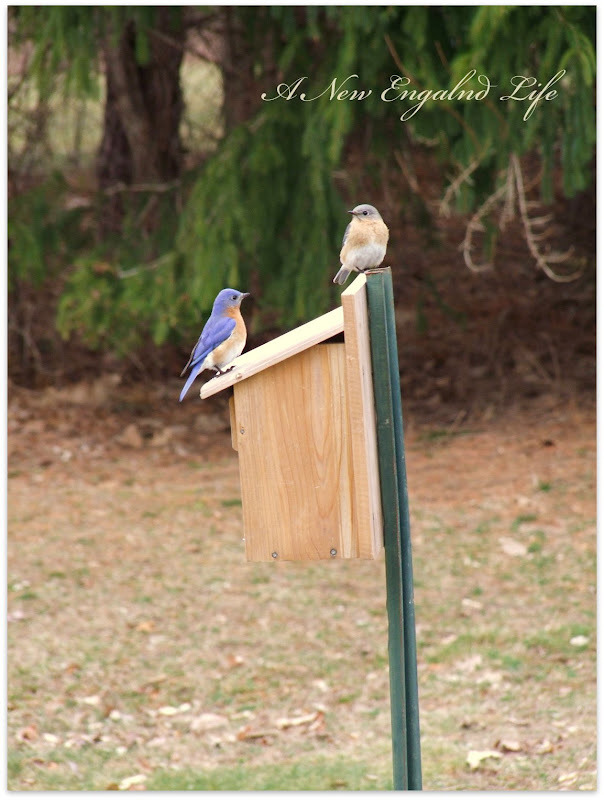 (They're our Missouri state bird)...Great post, Lovely blog! I'm a new follower! You've done it again, Sharon - capturing spectacular pictures! I love the one with the twigs in Mama's mouth! How fun to watch! 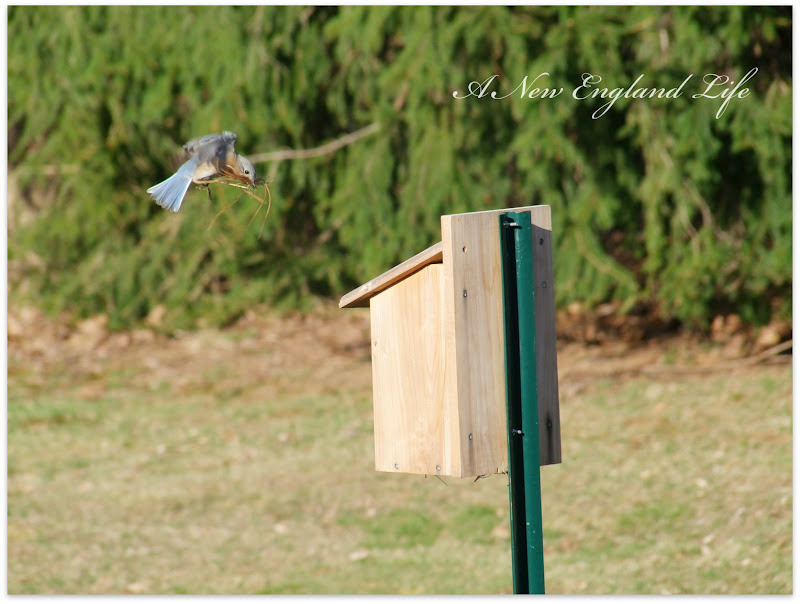 We are from New England too and had a Bluebird nest last year. Something went wrong and the babies died. We have revamped the houses and added extra ventilation as we think it was way too hot inside. I hope they come back. I will be ready with camera in tow to capture the beauty of the Bluebird. Lovely Pictures. What is Zick Dough? Thanks for any help with helping the Bluebirds. Gah... I hate sparrows. When I was little I used to walk to the post office to pick up the mail. 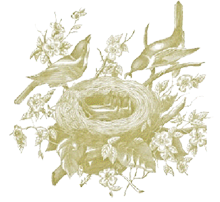 Every spring there was a sparrow's nest on the porch at the post office and the darn birds would attack me every time I walked onto the porch. Stunning pics as usual Sharon !! Love how you get action shots, love her flying with the pine needles in her mouth ! The house sparrows are in huge numbers over here. Not sure how to get them to leave. 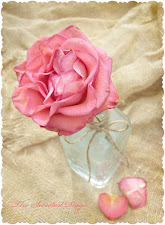 You have such talent with your camera, it inspires me to be a better picture taker !! What beautiful neighbors you have! I din't know that about the sparrows. I know you will keep them safe! Yes, I agree about them being the best neighbors. Great shots and good luck keeping the sparrows out. You got some wonderful photos of them at work! How high is that nesting box, by the way? Hurray for the bluebirds! I read in your latest post she's laid 4 eggs - Yippee!